The Autoquip Auto/Manual Single or Multi Component Metering Mix System is designed to provide superior control of single and plural component ratios and flow rates. Our fluid metering system uses real-time metering to accurately dispense and mix the resin and hardener on-ratio, regardless of the varying flow rates seen in real world paint applications. The mix manifold is designed to optimize mix quality and keep material separated until entry to the static mixer, minimizing internal volume by receiving Resin (Component A) and Hardener (Component B) continuously. 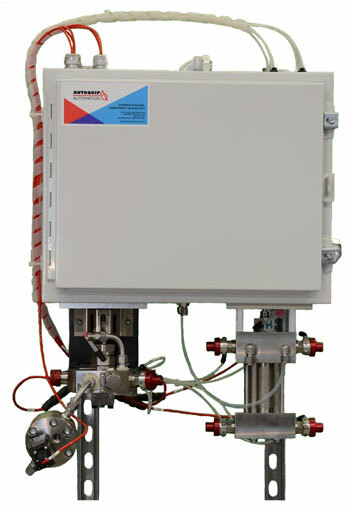 This precise and reliable electronic multi component system can be used for a broad range of solvent borne, waterborne, and acid catalyzed materials. The system is easily set up and operated with a 7” touch screen, with system parameters and usage data easily available. Ratio assurance with built-in system safeguards provides process feedback, effective color change solution and material tracking and reporting. Autoquip offers a wide variety of automatic dispensing modules providing high accuracy of individual to multiple material ratio batching. Installed as bench type, the equipment may be operator initiated or via robotic control. The Autoquip Batch Dispense Module uses positive displacement flow meters and pumps in lieu of electronic scales eliminating specific gravity input and associated inherent inaccuracy. Autoquip pump modules provide accuracy not achievable with electronic scale systems. 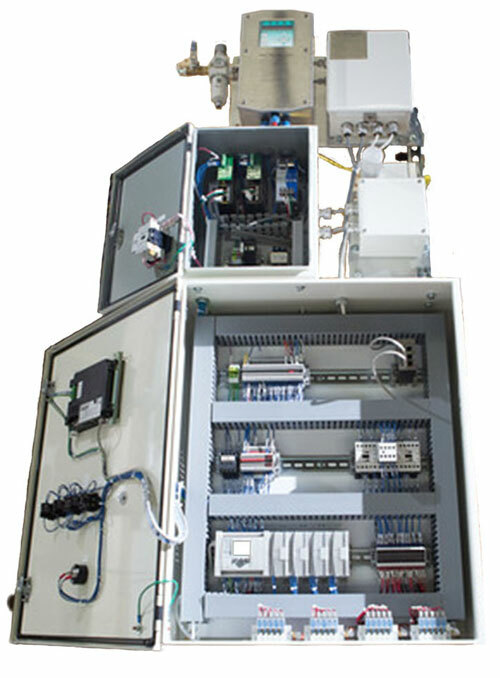 Autoquip Metering Technology uses precision engineered gear and proprietary dual acting piston pumps, flow meters and control systems that move, measure and dispense high value coatings. Within the pump and flow metering world, we are recognized for our expertise in the precise handling of challenging low flow applications. Our core capabilities support worldwide growth in adhesive and coating industries, particularly the automotive, recreational, agricultural and construction, wood, and general industrial manufacturing sectors. With applications on most continents, we work continuously with our customers to develop the right applied solution to meet their specifications, anywhere in the world. Autoquip manufactures a wide array of gear pump sizes and construction. Autoquip has experience in precision metering of most fluids including coatings, sealants and adhesives, and additives. Using flow meter feedback Autoquip offers closed loop control of the gear pump, automatically adjusting the pump calibration value for wear. Autoquip also offers inlet pressure balancing for metering of thin materials. Autoquip manufactures a proprietary ultra-low flow, high accuracy, positive displacement dispenser pump for metering applications. The Autoquip dispenser meters even low viscosity materials in a sub CC range. The unit can be used in stand alone or meter mix applications. The Autoquip dispenser employs pressure transducers for process control and fault detection. Autoquip integrates metering equipment into customer centric single or multiple component meter mix solutions. All Autoquip pumps are mounted on a common mounting plate allowing for mix and matching of the technologies. To accommodate future process changes pump software and drives are common and allow for customer field exchanges. Control systems are off-the-shelf controls and are expandable and less likely to become obsolete. Autoquip offers several sizes of Operator Interfaces and a computer interface to record and catalog material usage information.